Hi loves! 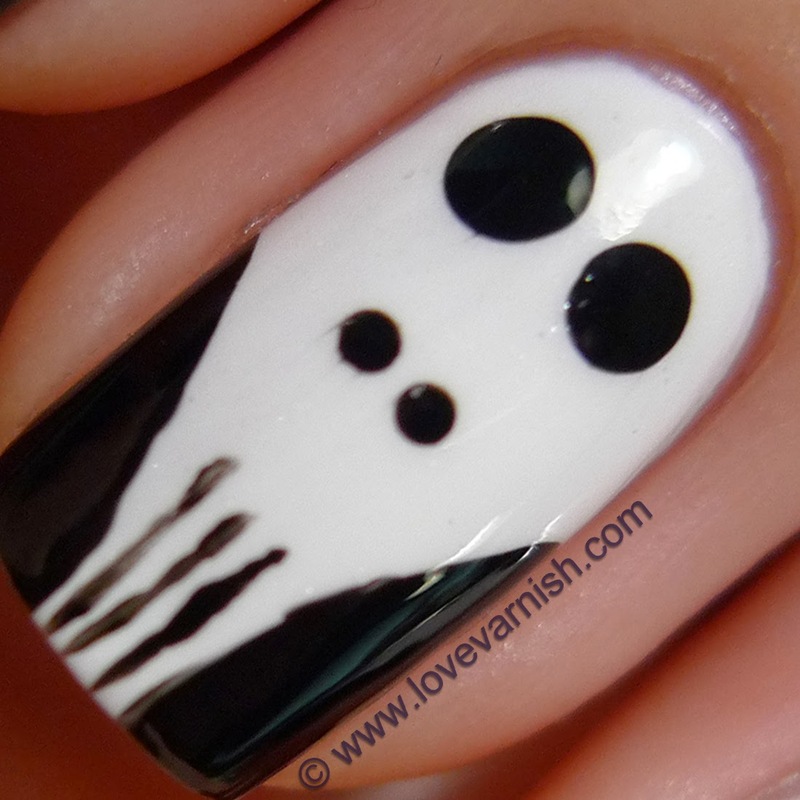 Something new from me today - Halloween nail art! I saw this look a while back on Beautylab and immediately decided I'd try it myself too. This weekend I finally had time and sat down with all my supplies to create it! I started with a white base, in this case a polish from Hema (809). I used 2 careful coats (it looks better at 3) because I knew I'd top it with a glow in the dark topcoat. I used 1 from Essence and it has a slightly milky appearance, not really noticeable on white but it did even out the color below a bit. After that dried properly I used a very fine brush and some black polish to create the skull shape. Every step is pictures in Beautylab's tutorial so please check it for reference! The nose and eyes were done with dotting tools. 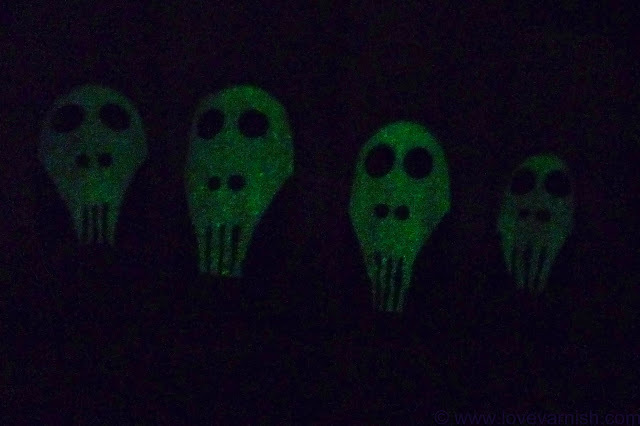 I am pleased with the outcome and had fun getting these to show up in the dark. Unfortunately I didn't succeed with getting pictures of it though! I was able to fix one picture with heavy photoshopping. 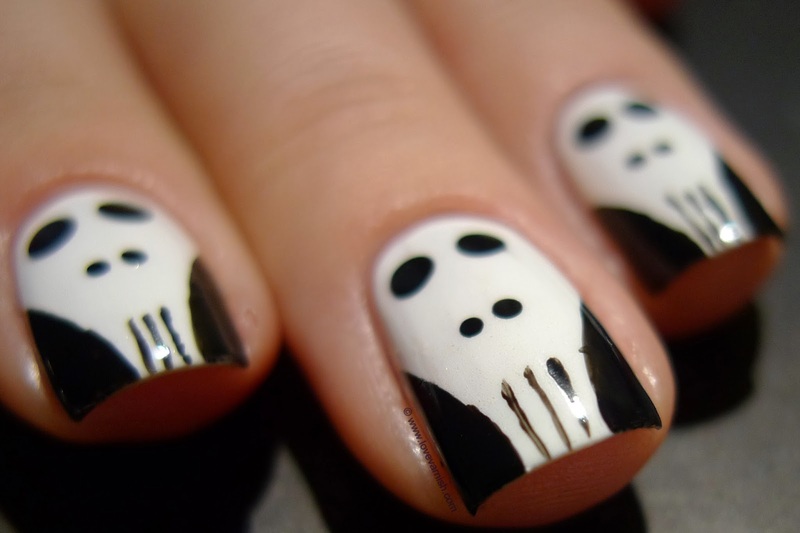 Have you done some Halloween nails already? What is your favorite glow in the dark polish or topcoat? Tell me in the comments! Is more tremendous! So it is simple, but so abruptly! 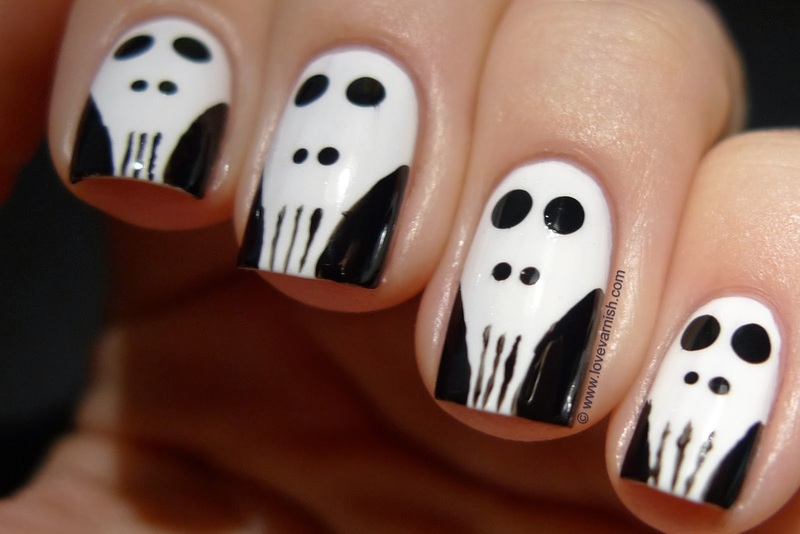 This is a beautiful Halloween manicure! I love it! Teehee, this is so cute! I've done nothing but Halloween nails this month. LOL So far the best gitd polish I've found is the one from Sinful Colors this year! This is so cute! Well done!